Escape to a whimsical wonderland where hair wishes come true. 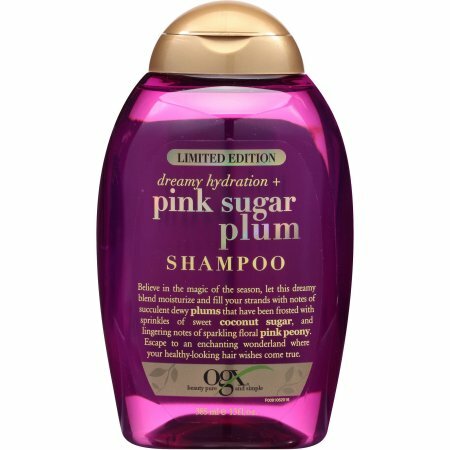 This dreamy shampoo helps moisturize and fill strands with succulent dewy plums frosted with sprinkles of sweet coconut sugar and sparkling floral pink peony. This hydrates hair and prevents frizziness. The shampoo is sulfate free. It is limited edition, so get it while you can. It will only be out just for the holiday season and for a little while afterwards. Currently it is only available at Walmart and online at www.walmart.com. This conditioner helps you escape to a place where you can go to a whimsical wonderland where hair wishes come true. 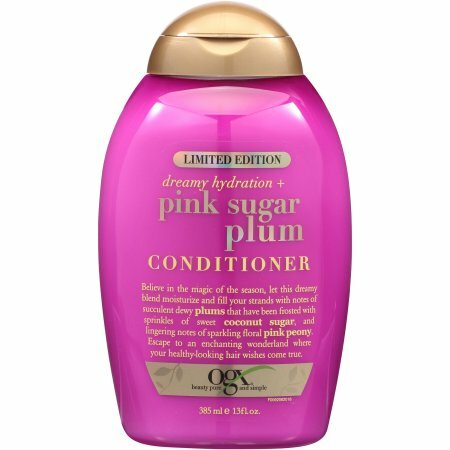 This dreamy conditioner helps moisturize and fill strands with succulent dewy plums frosted with sprinkles of sweet coconut sugar and sparkling floral pink peony. This hydrates hair and prevents frizziness. It is also limited edition, so get it while you can. It is also available at Walmart and www.walmart.com. This is a best seller. Show OGX your hair! Go on Instagram and show them your hair. They may feature it. Just go to #OGXBeauty. Like OGX on Facebook: https://www.facebook.com/OGXbeauty; Follow OGX on Twitter: @ogxbeauty; Follow OGX on Pinterest: http://www.pinterest.com/ogxbeauty/?z=1 and Follow OGX on Instagram: http://instagram.com/ogx_beauty.